We’re consistently one of Europe’s top-ranked business schools, but you won’t find we brag much about it. That’s another Dutch value—humility. And we know the success of our students, faculty, and alumni speak loud enough. Discover the latest business insights from the leading minds that produce them. Then hone your ability to lead effectively in any situation. Our Personal Leadership Development programme (PLD) what motivates others—and more importantly, what motivates you as an individual—so that you learn how to better manage them. We all speak the language, so let’s talk business. 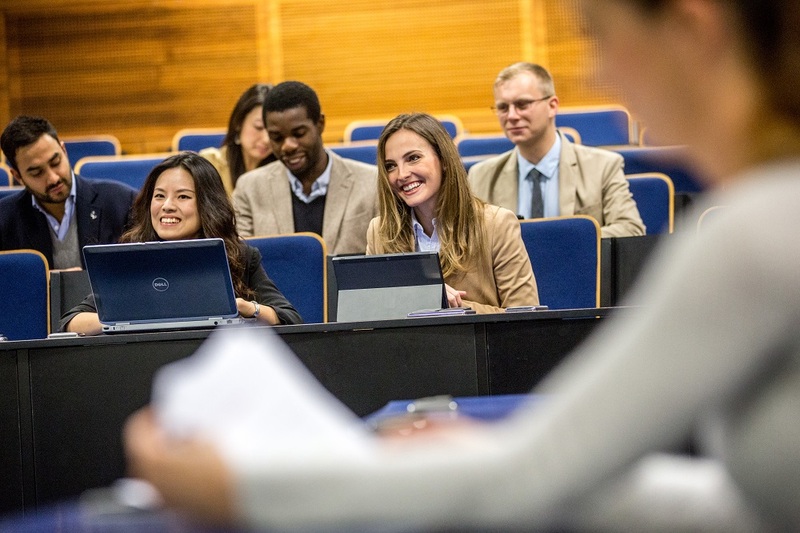 As a student, the time and resources you invest in your full-time Rotterdam MBA will generate returns throughout your career. At RSM, we work tirelessly to help each student succeed after graduation. For one, we’re invested in you and your journey. The better you do out in the world, the stronger we all are as a professional community. It’s a simple premise: our dream job is setting you up for land yours. Find your path. Start at the center. The Career Development Centre (CDC) is your main destination for career services. Arrange a meeting and our skilled coaches will get to know you and your goals—what kind of work you enjoy, where you want to live, what kind of work culture fits you the best, and much more. Once we’ve identified your goals, we’ll create an action plan to help you get there. Along the way, you’ll have access to a lot of career resources. Brush up on your interview techniques, improve your presentation skills and learn best practices for building your professional network. A great business school should work hard to improve your career prospects. In Rotterdam, that’s exactly what we do for each and every one of our students.